Italy is a very famous touristic destination, appreciated by many tourists from any part the world. Every year, many visitors come to this country to enjoy sun, sea, and all its very beautiful cities. In particular, during recent years more and more tourists have been also spending their holidays choosing villas in Tuscany. Tuscany is one of the most beautiful and famous region of Italy. Its territory borders Liguria and Emilia-Romagna regions to the north, Marche and Umbria to the east, and Lazio to the south. Tuscany is rich of touristic and historical relevant sites. In particular, six Tuscan localities have been designated World Heritage Sites: they are the historic centre of Florence (the regional capital), the historical centre of Siena, the square of the Cathedral of Pisa, the historical centre of San Gimignano, the historical centre of Pienza and the Val d’Orcia. Furthermore, Tuscan region is globally famous for the suggestive landscapes of its countryside and the coast on the Tyrrhenian Sea. Elba Island, one of the main touristic destinations of Italy, is also part of the Tuscany. One of the most suggestive way to visit Tuscany is to rent a villa. The cost for a weekly rental is not too expensive, especially if compared with a four stars hotel in the centre of Florence, Siena, or another important Tuscan city. Villas in Tuscany are very exclusive locations situated out from the big cities, in very wide and quite spaces along the countryside or near the coast. These buildings have a strong and rough outer aspect, but on the inside they are very comfortable and offer a full services kind of accommodation. 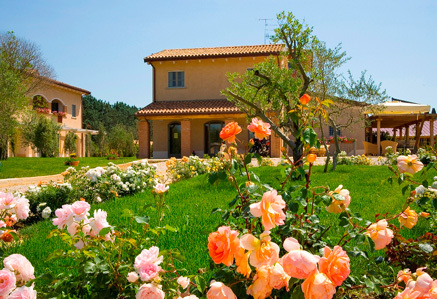 Many Tuscan villas for rent include gardens and, in some cases, swimming pools. These services makes villas in Tuscany perfect places for family holidays: kids can play in wide spaces and go biking exploring the countryside, while parents can enjoy relax and romantic walks through the characteristic small towns, surrounded by the magic atmosphere of their historical centres. But villas in Tuscany are good solutions for friends too, because the big spaces outside and inside these buildings are perfect accommodations for large groups of persons and ideal locations for parties.